Front Side with your Homegroup's Name! 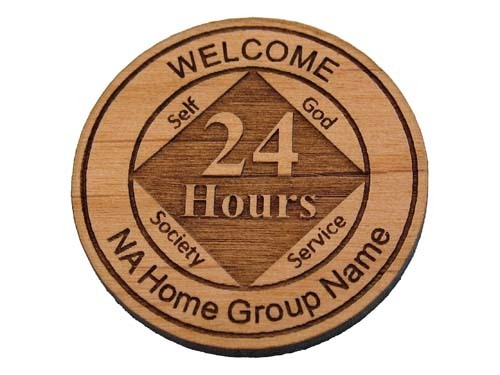 Personalized NA Homegroup 24 Hour "Welcome Chip"
A great chip to give to newcomers or visitors! 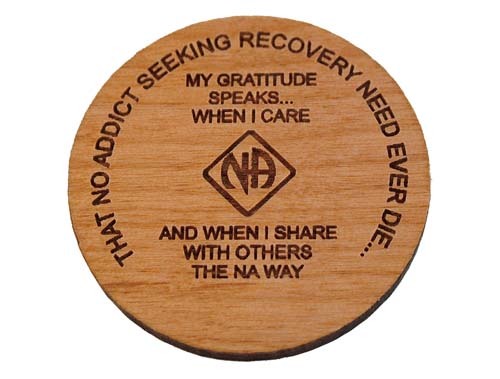 This medallion is customized with the name of your homegroup on the front side and the "Old School" medallion design on the reverse! Have something a little different in mind for you homegroup? Please contact us! We are happy to create something special for you!